This might sound weird, but I'm trying to be more myself. 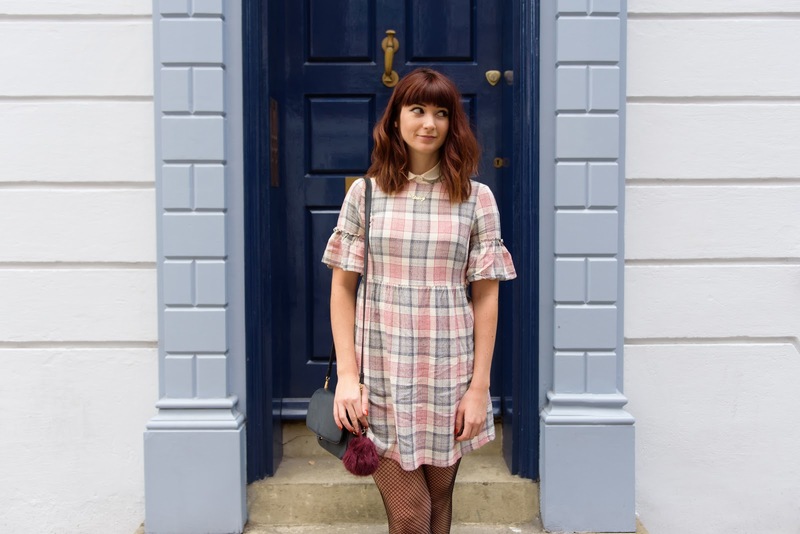 I recently realised I wasn't 100% on what my style could be defined as and I was determined to work it out, which is a bit of a strange idea when you work in fashion and have a fashion blog. 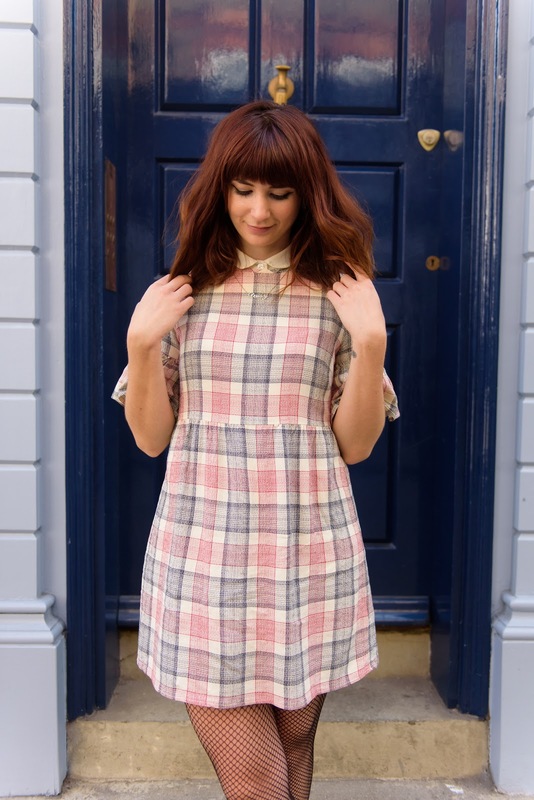 Then I went on an incredible photoshoot set in Bethnal Green library and my fashion editor's preppy styling was unreal. I'm not saying I'll suddenly start dressing preppy 24/7, but I definitely wanted to give it a go. 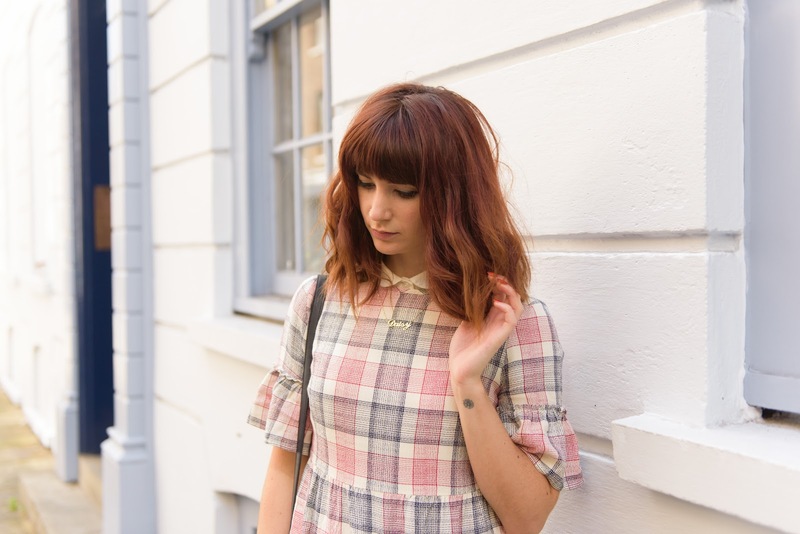 So I headed to New Look one evening after work and found this cute preppy check dress that's super easy to wear. I like going all out with clashing prints and I thought this coat worked well for the geeky look I'm trying to achieve, ha! Now all I need are a pair of thick rimmed glasses to complete the look! It's a funny thing working out what your style is. I reckon it's something that's just part of who we are, and whenever anyone tells me they want to change how they dress I wonder if it's actually possible. I'm a big fan of Freddie Harrel's approach to fashion. She often talks about having multiple personalities and wearing clothes that suit the various sides of her. Now I think about it, it's the same for all of us. Perhaps a person's style can't be defined. Sometimes I like wearing jeans, sometimes I want to feel sophisticated and sometimes I'll wear a PVC mini skirt. That's what is so fantastic about fashion; it's expressive. It might sound superficial, but wearing a new outfit that makes me feel good definitely boosts my self esteem. I've been shopping less lately but when I wear new clothes, I do get a bit of a buzz. I tend to stop putting effort in during the winter months, but I'm determined to feel good this year and take care of myself. 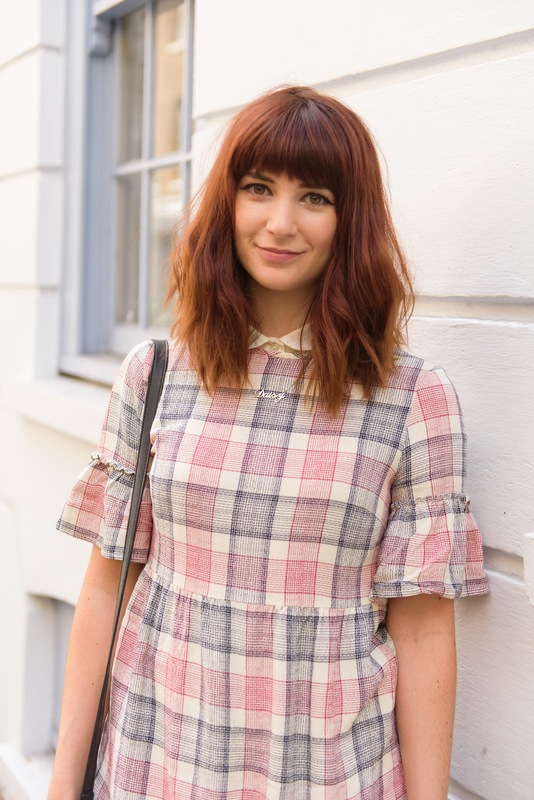 I've started a second blog, 52 Weeks of Self Love, which follows my weekly self esteem boosting tasks, so do give me a follow if you're interested in learning more! 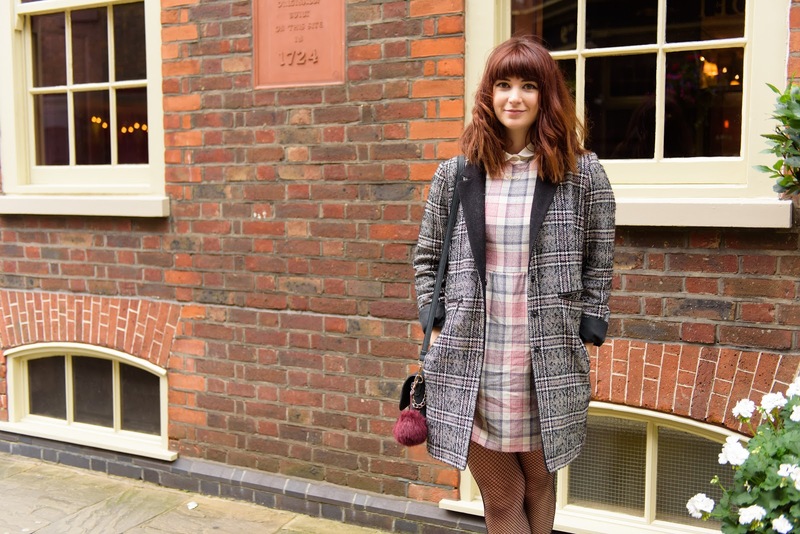 Coat, charity shop; shirt, vintage; dress, New Look; shoes, vintage.